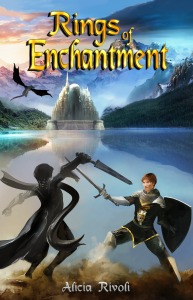 The enchantments protecting the kingdom of Mere are growing weaker. Jacan, recognizing the change, sends his army of Umbra through the shadow portals to wreak havoc on the cities outside Mere’s walls of protection. He feels his own powers have begun to weaken. That could only mean one thing, the heir of Nebula has returned. As Preston approaches Mere he is discovering more of his father’s stories are coming to life around him. He is struggling with the thought that he will be the King, and that one day he is expected to marry the Princess of Mere. When Preston takes a wrong step and finds himself alone, he uncovers something that his father never told him. Will he discover all the pieces of the puzzle in time with danger around every corner and Jacan and the Umbra getting closer? Chloe’s magic builds with each challenge from The Master Puzzler and the evil creatures that inhabit Mere. She quickly becomes a skilled sorceress as she fights alongside an unlikely companion. Can Chloe learn to control her magic before it consumes her life source? Will she accept what is yet to come? 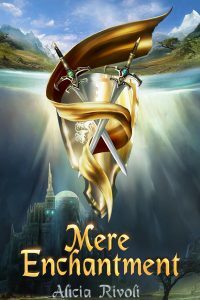 Follow the epic journey of Preston, Megan, Chloe and Jason in their quest for victory and their struggle to take their rightful places in the kingdom of Mere.